Petrasite:: No Push Email for BlackBerry 10? Before I begin, as of this stage, I do not have BlackBerry Z10 although I managed to get my hands on it, play with it a few times, not because I don't want to get it but rather I am still under contract for 6 months. Technically, I will be able to renew it after 3 months at Starhub. I don't mind if someone bless me with one! I even attempted to enter into contest by CrackBerry. Recently, someone referred me to read an article written by Straits Time and you can read it here, which inspired me to start write this post. The headline is so misleading, just because there's no need to subscribe to dedicated BlackBerry Plan aka BIS (Blackberry Internet Service) means there is no Push Mail? Ditching BIS is one way to attract those who are currently using iPhone or Android phones, without paying additional sum of money to enjoy BlackBerry 10. 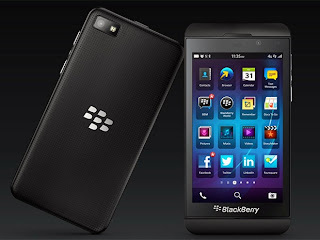 Even for those who are still under contract like me and if I put my SIM card to BlackBerry Z10, it will still work. At least based on what I had observed and read from Crackberry website. To clear it up, just as how iPhone or Android phones get their email, it will work the same for BlackBerry Z10 or Q10 which will be available worldwide in April 2013. As far as I know, BlackBerry is first foremost, a Messaging company and always strive to bring quality messaging services to their customer. Any structure or system that compromise that just don't make sense. Email will and still be delivered to BlackBerry 10 devices round the clock. One famous feature BlackBerry possessed is their LED notification whenever there's email or SMSes, this feature is still there. BlackBerry Peek allow the user to gesture and peek what is that new email just arrived without exiting their Apps. Even if you are iPhone user, you can get your iCloud email, Calendar and Contacts on BlackBerry 10! "All my emails, gmail and work emails come through right away. I've tested this several times by sending an email from a computer to my email address, it's instant. " I can be sure that this Technology Correspondent, Ms Irene Tham is not a Blackberry fan and I am not even surprised if she herself did not use the Blackberry Z10 at least for 2 weeks before you write a review. I want to quote from CrackBerry recent post, "How the US media can review the Z10 without looking dumb." In closing, like to share a video by CrackBerry Founder who had an interview with BlackBerry CEO, check it out!! !